At their heart, tribute shows and reunion shows are basically family reunions — with the families defined by interest instead of biology. 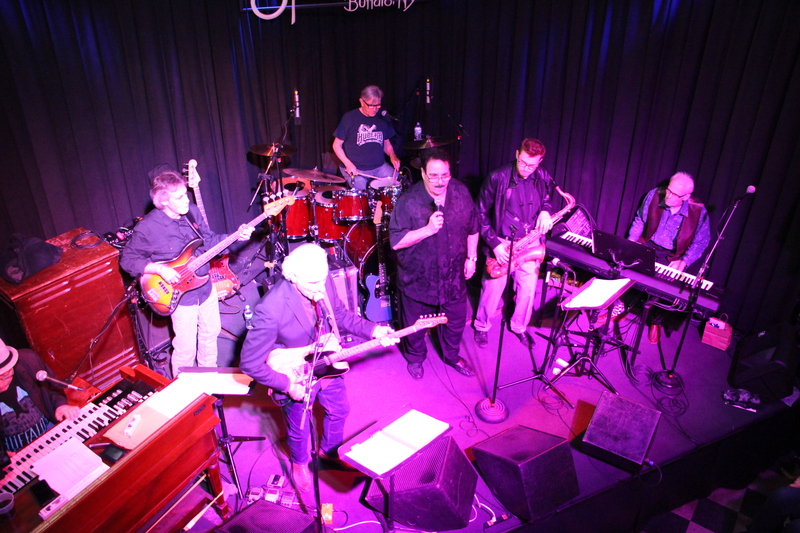 With Szelest Fest 5, it was obviously a very talented family as well as some of Buffalo’s best came out to rock the Sportsmen’s Tavern stage on March 31. It was the musical family that Stan Szelest built around himself over 30-plus years as the city’s foremost piano-pounding rock ’n’ roller. It’s a style of rock ’n’ roll that doesn’t really get played much anymore, partly because the bands that attempt to do older rock classics are listening to the hit versions and partly because the older players who knew how to do it are older and not playing out that much. There’s a certain groove, a grungy funkiness that the band brought to the music. The one place you will hear some of that is at the R&B and Soul Dance Gala shows put on by Nick Veltri and Sam Guarino (both of whom played the Szelest Fest this year) a few times a hear. They’re full of Buffalo Music Hall of Fame performers and you’ll hear the same perfect version of “Honky Tonk” that the band rocked out at the Sportsmen’s. Later, the Szelest Fest band continued to follow Szelest’s evolution as his experiences with the future members of The Band shaped what he did (as Stan & the Ravens’ sound also helped shape The Band!). It’s impossible to overstate the level of talent on the Sportsmen’s Stage for this show. Here are some of the players (and I’m sure I’m missing a few): Veltri, Guarino, Doug Yeomans, Stephen Sadoff, Ron Davis, Pete Holguin, Ray Hangen, Jim Beishline, Joe Giarrano and relative newcomer Matt Harris. It was fun to watch the reactions of some of people who had never seen Dolly Dee (aka Dolly Durante) before as she as raised the roof on an Aretha song. Dolly, who worked with Buddy Miles, Ike Turner and Muhammed Ali in earlier days, is a force of nature on the stage. In addition to the musical family on stage, it was also good to see Carolyn Szelest (Stan’s widow) and Edie Calandra (Tommy Calandra’s widow) there to help celebrate the musical legacies of their late husband’s. It was the kind of reunion anybody can attend and feel like they’re just part of the family — the Buffalo Americana family.